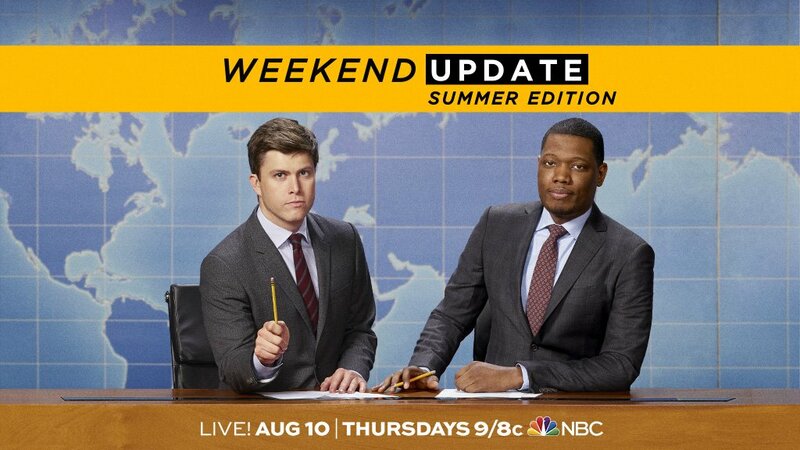 Starting this Thursday, Saturday Night Live will debut a limited edition summer run of Weekend Update, dubbed Weekend Update: Summer Edition. Similar to the Weekend Update Thursday specials that aired during the 2012 election, they will serve as bonus editions of the segment. This has been spurred on from the most recent season's above-average ratings and positive reviews. Other cast members will most likely appear in guest segments, but it is currently unknown if the episodes will have cold openings. However, the episodes will still be live. To promote this special event, SNL's YouTube channel posted a promotional clip featuring jokes from the past season, along with handpicked Update segments from past decades. Do you feel like watching classic bits from some of the first few seasons? Check out a surprisingly young Chevy Chase, along with the late Gilda Radner appearing as one of her most famous recurring characters, Ms. Emily Litella. Alternately, a famous bit that has often been referenced in popular culture, Point/Counterpoint. A simple debate immediately turns ugly, perhaps providing the inspiration for almost anything from Fox News. Finally, you could take a look at comedy legend Eddy Murphy in his television days or enjoy the comedy stylings of current senator Al Franken. I'm a fan of this, because it shows the different incarnations of SNL throughout history. Weekend Update: Summer Edition airs live on Thursdays starting on August 10th, 2017. You can find it on NBC.